Episode 14: Join me as I sit down with Cepee Tabibian, a United States expat who now lives in Madrid, Spain. Now that she has made her biggest travel dream a reality, she is inspiring other women over 30 to do the same via her online community and blog, She Hit Refresh. We spend time talking about her life long passion for travel, how she's found a way to move abroad, and why her community is a hit with women looking to break free of their routine and start a life of travel. I appreciate you taking the time to listen to my podcast. If you'd like to know more about me, you can find me via my website (jetsetlisette.com) or on instagram or twitter (@jetsetlisette). For episode 25, I talk with Nubia Younge, entrepreneur, mother and founder of the Chronicles Abroad podcast. Born and raised in Boston, MA, Nubia was bit by the travel bug in 2011 when she set out on a 14 day European vacation. She spent the next six years traveling to 35 countries, while being a single mom, working full time and going to school part-time. In early 2017 she decided to donate all of her belongings and pack a suitcase to go see the world…and now lives in Chiang Mai, Thailand. During our conversation, Nubia shares the ups and downs of her travel filled life, how she launched herself into living abroad (and why it’s bringing her so much joy), and offers tips and resources along the way. What You'll Learn How Nubia got bit with the international travel bug in her late 20s Which online communities helped her start traveling more How she traveled extensively despite her busy schedule and responsibilities The challenges that came with traveling a lot in a short time period Why she decided to pivot and think about moving abroad How she ended up living in Chiang Mai How she is providing financially for herself while living abroad What she loves about living in Asia, and how it allows her to travel even more Why she started the Chronicles Abroad podcast How living abroad has changed her life Resources Chronicles Abroad Podcast Nomadness Travel Tribe TEFL Jobs I also answer two listener questions: 1) Is there a particular card/program that seems better/easier to use miles than the others? 2) Are there any hacks for getting the most out of your miles such as timing of ticket purchase? Enjoyed this episode? If so, please rate, review and subscribe as it really helps more people find the show...I would so appreciate it. If you'd like to know more about me, you can find me via my website or on social media: @jetsetlisette. For episode 24, I talk with global career coach Nicolle Merrill about the twists and turns of her many international work and travel experiences. A self-proclaimed professional job hopper, she talks about how the stigma around fluid careers is disappearing as the way we work changes. Her non-traditional career path has included work as a private jet travel writer, a study abroad advisor, a global career coach, and an AI chatbot designer. She then founded Future Skills, a company that smashes traditional career advice and show people how to build adventurous careers. Nicolle teaches digital nomads how to get remote jobs, work in foreign countries, and upskill for the jobs of the future. It’s a fun conversation, with great insights, tips and lots of laughter. And I have to say, I’m glad to know I’m not the only one with “shiny object syndrome." Links to resources mentioned in the episode can be viewed at jetsetlisette.com/episode24 I appreciate you taking the time to listen to my podcast. If you'd like to know more about me, you can find me via my website (jetsetlisette.com), Instagram or Twitter (@jetsetlisette). Episode 23 is the start of a new run. I kick off Season 2 by having a conversation with my 8 year old niece Leah (recorded while vacationing last Christmas in Mexico). It’s short and sweet— and all about travel of course. After we talk, I share about my travel role models as a kid, plus give some updates including a recent big change in my life related to travel, finances and podcasting. I wrap up with my current travel goals, where you can find me in 2019, a fun announcement and more. This season I’ll be adding a short segment at the end of each guest interview where I’ll either share a quick travel hack or answer listener questions – so if there’s something you want to know about racking up airline miles and hotel points, drop me a line at lisette@jetsetlisette.com or on social media: @jetsetsetlisette. Links to conferences mentioned in the episode can be viewed at jetsetlisette.com/episode23. I appreciate you taking the time to listen to my podcast. If you'd like to know more about me, you can find me via my website (jetsetlisette.com), Instagram or Twitter (@jetsetlisette). 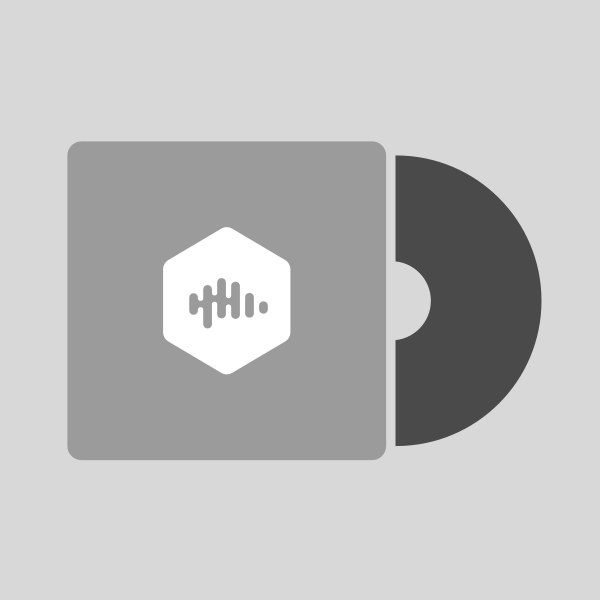 For my first season finale I decided to do a solo episode, something I probably should have considered when I launched this podcast! It's about time I shared my own story about finding a way to travel more – ultimately saving over $100K in travel costs in only six years. Earning millions of airline miles and hotel points through credit card sign-up bonuses has changed my life – making travel more affordable and attainable. It also led to one of my greatest passions: helping others make dream travel a reality. During this episode I share travel stories and resources – and bust a few myths along the way. Be sure to stick around until the end, where I ask for feedback to help shape Season 2 of The Globetrotter Lounge podcast, which launches in March 2019. As always, I appreciate your support! Resources and links mentioned in the episode can be viewed at jetsetlisette.com/episode22 I appreciate you taking the time to listen to my podcast. If you'd like to know more about me, you can find me via my website (jetsetlisette.com), Instagram or Twitter (@jetsetlisette). For episode 21 I sit down with Erin Papworth, the Founder and CEO of Nav.it, an exciting new app that aims to empower women to become more financially savvy – with travel as the inspiration and end goal. Erin spent 12 years working in sub-Saharan Africa on projects that increased health care access for marginalized women. Her work and travels have taken her to Tanzania, Zanzibar, Kenya, Malawi, and Haiti, Cameroon, Sudan, Mozambique, and other countries in Africa and around the world. Upon her return to the U.S., Erin became determined to change female conversations around finances and help women redefine their lifestyles and what wealth means to them. Enter Nav.it, which launches in January 2019. The app combines inspiring and educational travel articles with practical budgeting tools and tips – showing women how to make travel more attainable. During our conversation Erin shares her personal travel journey, information about her new product, and her passion for helping other women navigate finances, travel and life. Resources and links mentioned in the episode can be viewed at jetsetlisette.com/episode21 I appreciate you taking the time to listen to my podcast. If you'd like to know more about me, you can find me via my website (jetsetlisette.com), Instagram or Twitter (@jetsetlisette). For episode 20, I had the chance to sit down with Seattle-based osteopath Cathy Lindsay. Her lifelong love of nature and being outdoors eventually led her to explore the world as an adult. After multiple international trips to places like Grand Cayman, Bali, India and Peru, Cathy began shifting her travel focus. She now takes annual service trips – typically helping on environmental or animal research projects. Her service expeditions have included counting butterflies in North Vietnam, studying juvenile turtles in the Bahamas and Costa Rica, and studying wolves and bison in Alberta, Canada. She also recently traveled to Thailand to work in elephant and dog sanctuaries, and ended up providing support to the local community following a devastating flood. Cathy shares amazing stories about her adventures in learning and helping – showing us that travel with purpose is not only important, but deeply rewarding. Along the way she provides inspiration, tips and resources for those interested in doing good while traveling. Resources and links mentioned in the episode can be viewed at jetsetlisette.com/episode20 I appreciate you taking the time to listen to my podcast. If you'd like to know more about me, you can find me via my website (jetsetlisette.com), Instagram or Twitter (@jetsetlisette). I speak with Martinique ("Marty") Lewis, a veteran traveler who is committed to inspiring other travelers and diversifying the travel industry. At 31 years old she’s already been traveling for 22 years, visited six continents, and will be traveling 275 days out of the upcoming year. We talk about her work with Black Travel Journey, an organization that aims to educate, encourage and inspire travelers of color. For the past year Marty has been raising awareness about the lack of diversity in travel advertising and promotion. She works directly with tourism boards and hospitality brands, educating them about the value and importance of marketing to people of color. Marty is also dedicated to helping the communities that she visits, especially lesser known destinations that are part of the African Diaspora. Her passion about what she does shines through everything she says. I'm sure you will be inspired by her travel-filled life and infectious positivity. Resources and links mentioned in the episode can be viewed at jetsetlisette.com/episode19 I appreciate you taking the time to listen to my podcast. If you'd like to know more about me, you can find me via my website (jetsetlisette.com), Instagram or Twitter (@jetsetlisette). In episode 18 I speak with Jess Sanchez of The Jetsetting Family. She and her husband Rod sold everything, quit their jobs and embarked on a life of full-time travel with their two young children Santi (5 years old) and Nora (2 years old). Since launching in June 2018, they've traveled to the Philippines, Indonesia, Singapore, Malaysia, Thailand and Vietnam. Their blog, YouTube channel and podcast chronicle their adventures, providing inspiration and resources for other families who hope to do the same. Jess shares how she and Rod made their goal a reality, how they currently support themselves financially, and what life on the road is like. She invites us to "find the tiny crazy " in our lives and push ourselves to adventure more - whether it's a huge lifestyle change or simply dedicating ourselves to traveling more. Her inspiring story is proof that if you can dream it, you can do it. Resources and links mentioned in the episode can be viewed at jetsetlisette.com/episode18 I appreciate you taking the time to listen to my podcast. If you'd like to know more about me, you can find me via my website (jetsetlisette.com), Instagram or Twitter (@jetsetlisette). In episode 17 I speak with Glory Ali, founder of Muslim Travel Rocks, a blog that encourages and motivates Muslims to explore the world, seeking to combat Islamophobia through travel. It also provides useful information on Halal and Muslim friendly destinations. Glory has been featured in Huffington Post, Halal Incorp and Khadija Magazine, and has been invited to speak at numerous national conferences, including the Women in Travel Summit and TravelCon. During our conversation she shares her personal experiences as a Muslim traveler, discusses the importance of raising children to be global citizens, and explains why she feels that America is still a welcoming place for Muslims. She also shares tips and advice for women wanting to travel more. Resources and links mentioned in the episode can be viewed at jetsetlisette.com/episode17 I appreciate you taking the time to listen to my podcast. If you'd like to know more about me, you can find me via my website (jetsetlisette.com), Instagram or Twitter (@jetsetlisette). In episode 16 of the Globetrotter Lounge, traveling mama Iliah Grant-Altoro talks about how she has prioritized a life of travel for herself and three children (ages 10, 8 and 3). They have traveled to over 25 countries including Morocco, Malaysia, Thailand, Argentina and Iceland (to name a few). She chronicles her wandering lifestyle on her blog Negra Bohemian in hopes that other mothers will be inspired. During our conversation, Iliah shares how she's redefined motherhood for herself – kicking the idea of limitations to the curb, and opening the door to a life of travel and adventure. She addresses fears that parents often have regarding international travel with kids, sharing her experiences, insights and tips. Join us as we talk about why travel with kids is worth the effort, and perhaps not as impossible as it seems. Resources and links mentioned in the episode can be viewed at jetsetlisette.com/episode16 I appreciate you taking the time to listen to my podcast. If you'd like to know more about me, you can find me via my website (jetsetlisette.com), Instagram or Twitter (@jetsetlisette). In episode 15, I interview Katrina Morrison, a flight attendant mom and wife who home schools her three children. She's created a lifestyle that allows her family to travel whenever and wherever they want - including wonderful destinations like Morocco, Paris, Costa Rica and Jamaica. She's also the force behind the blog My Mommy Flies, where she shares her experience and tips on how to balance travel and family. During our conversation she provides insight into the flight attendant career and lifestyle. She also talks about her experience with homeschooling (or “unschooling” as she calls it) and how it's opened the door to more travel. And of course, Katrina leaves us with some great tips for other traveling moms. Resources and links mentioned in the episode can be viewed at jetsetlisette.com/episode15 I appreciate you taking the time to listen to my podcast. If you'd like to know more about me, you can find me via my website (jetsetlisette.com), Instagram or Twitter (@jetsetlisette). Episode 14: Join me as I sit down with Cepee Tabibian, a United States expat who now lives in Madrid, Spain. Now that she has made her biggest travel dream a reality, she is inspiring other women over 30 to do the same via her online community and blog, She Hit Refresh. We spend time talking about her life long passion for travel, how she's found a way to move abroad, and why her community is a hit with women looking to break free of their routine and start a life of travel. Resources and links mentioned in the episode can be viewed at jetsetlisette.com/episode14 I appreciate you taking the time to listen to my podcast. If you'd like to know more about me, you can find me via my website (jetsetlisette.com) or on instagram or twitter (@jetsetlisette). Episode 13: Tina Neville's desire to travel started with wanting to reconnect to the country where she was born. Her family came to the United States as refugees from Vietnam when Tina was a child. Her life journey led her from Broken Arrow, Oklahoma to graduate school at Yale, and then serving in Vietnam (and other countries) as a U.S. Foreign Service Officer. Just when she thought her life abroad was over, she met her husband, who was just starting his Foreign Service career. Together they lived abroad for 8 years, stationed in places like Thailand, Mexico and Honduras. They also found that being a part of the Foreign Service community allowed them to travel extensively at minimal cost. As a result, Tina has traveled to over 50 countries. At the same time, Tina successfully founded Transcend Academy, an online business that helps students prepare for college – and allowed her to work remotely. Currently back in the States, Tina sits down with me to discuss her travel-filled life, and how she is raising her children to also be travelers and global citizens. Resources and links mentioned in the episode can be viewed at jetsetlisette.com/episode13 I appreciate you taking the time to listen to my podcast. If you'd like to know more about me, you can find me via my website (jetsetlisette.com) or on instagram or twitter (@jetsetlisette). Episode 12: Artist, wine industry veteran and seasoned traveler Kristen Winn shares her inspiring story of a year spent traveling. Her epic solo journey took her to Iceland, Sweden, Norway (where she worked in an art cafe), Northern Italy, Istanbul (where she worked as a nanny), and Tasmania (where she worked at an eco lodge). She also went to Oman, southeast Asia and Australia. As we listen to her story, we hear about the resources she used to make her dream travel a reality, and discover that this type of adventure might be more within reach than we think. Resources and links mentioned in the episode can be viewed at jetsetlisette.com/episode12 I appreciate you taking the time to listen to my podcast. If you'd like to know more about me, you can find me via my website (jetsetlisette.com), Instagram or Twitter (@jetsetlisette). In episode 11 you'll hear the fascinating story of how a young girl from an underserved community in Mobile, Alabama became a world traveler who encourages other women of color to do the same through her travel company and online community Black Girls Travel Too. I wanted to share Danny's story for many reasons. I especially love that she is part of a growing movement that is changing perceptions about women of color and travel – something that is long overdue. I'm not the only one who has appreciated her message - the Black Girls Travel Too Instagram page now has over 113,000 followers. Listen and find out how one life changing moment led Danny to want to travel more - and help other women like her travel more too. Resources and links mentioned in the episode can be viewed at jetsetlisette.com/danny-rivers-mitchell I appreciate you taking the time to listen to my podcast. If you'd like to know more about me, you can find me via my website (jetsetlisette.com), Instagram or Twitter (@jetsetlisette). For episode 10, I have the pleasure of interviewing a fellow travel hacker, Kat Weiss, who is also the creator of World Wide Honeymoon – a blog and consulting service that helps couples turn dream honeymoons into affordable reality. A small town girl gone international, Kat is truly a budget traveler after my own heart. We have a shared love (addiction) of travel hacking and I’m afraid we geek out a bit during this interview about our favorite hacks. It makes for a great episode full of useful tricks and tips for anyone wanting to find ways to travel more. Resources and links mentioned in the episode can be viewed at http://jetsetlisette.com/episode10 I appreciate you taking the time to listen to my podcast. If you'd like to learn more about me, you can find me via my website (jetsetlisette.com), Instagram or Twitter (@jetsetlisette). Today in episode 9 I’m talking with Annette Richmond, fashion stylist, writer, digital nomad and creator of Fat Girls Traveling – a body positive online community for larger women travelers.Not only am I inspired by all the traveling Annette is doing (and jealous of her nomad lifestyle), I’m also deeply inspired by her commitment to promoting a more diverse representation of travelers. Her hugely popular community (14K Instagram followers and over 4K Facebook group members) is shattering stereotypes and killing the notion that travel is only for thin people. And it also provides a supportive environment where women can share experiences, advice and resources – and encourage each other to travel more. During our conversation Annette shares how she started traveling more herself, why she started Fat Girls Traveling, and great tips for travelers of any size. Resources and links mentioned in the episode can be viewed at http://jetsetlisette.com/episode9 I appreciate you taking the time to listen to my podcast. If you'd like to learn more about me, you can find me via my website (jetsetlisette.com), Instagram or Twitter (@jetsetlisette). Episode 8: Today's conversation is with Beth Santos, the passionate and dynamic founder and CEO of Wanderful, a global network for women who travel. Wanderful is a collaborative and inclusive community of women of all ages and backgrounds which includes a homesharing platform, local chapters in 28 cities, events and organized trips. Beth is also the creator of the Women in Travel Summit (WITS), an annual event for women travel influencers, bloggers and industry members. You are going to love Beth's enthusiasm and passion for empowering women to discover the world through travel. 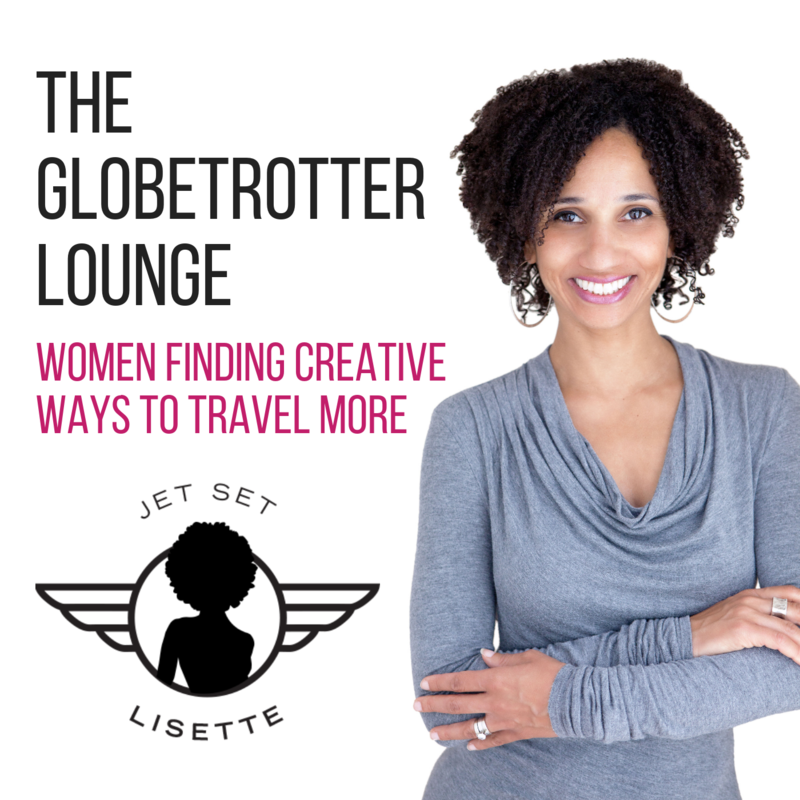 Resources and links mentioned in the episode can be viewed at http://jetsetlisette.com/episode8 I appreciate you taking the time to listen to my podcast. If you'd like to learn more about me, you can find me via my website (jetsetlisette.com), Instagram or Twitter (@jetsetlisette). In episode 7 I interview Jessica Hansen, Global Engagement Manager for Kiva (the world's largest microfinance non-profit) and a lifelong traveler who is deeply committed to doing good in the world. It is difficult to know what impact our jet-setting has, and how much money is actually going into the local economy rather than benefiting other parts of the tourism industry. It’s also hard to know which voluntourism organizations are actually helping, versus those that (while well-intentioned) are actually hurting people or environment they seek to serve. Jessica talks about what to look for when seeking to do good while traveling, what are red flags, and which organizations are doing incredible work in regards to social impact travel. She also shares some of her own personal travel journeys, and what led her to embark on a life of international service. Resources and links mentioned in the episode can be viewed at http://jetsetlisette.com/episode7 I appreciate you taking the time to listen to my podcast. If you'd like to learn more about me, you can find me via my website (jetsetlisette.com), Instagram or Twitter (@jetsetlisette). Episode 6: Today I’m interviewing Rita Golden Gelman - an extraordinary and delightful world traveler. Now 80 years old, she spent 30 years of her later life without a permanent residence. Author of the New York Times bestseller: Tales of a Female Nomad: Living at Large in the World, she has endless travel stories and lessons to share. A prolific children's book author who wrote while on the road, Rita was a working nomad well before the current "digital nomad" trend. She also edited and published a collection of stories from women travelers: Female Nomad and Friends: Tales of Breaking Free and Breaking Bread Around the World. Rita has literally traveled around the world – living in often rural places in Mexico, Indonesia, Africa, Laos, Thailand, Guatemala, Colombia, India, Tanzania and more. Trained in Anthropology at UCLA, Rita mostly lived with families, immersing herself in local culture as much as possible. Join our conversation as we explore the importance of connecting authentically with people wherever you travel, trusting your unfolding experiences, and going with the flow. I absolutely loved Rita's adventurous spirit, her wisdom, and her fascinating stories. I hope that this episode leaves you as deeply inspired as I am. Resources and links mentioned in the episode can be viewed at http://jetsetlisette.com/episode6 I appreciate you taking the time to listen to my podcast. If you'd like to learn more about me, you can find me via my website (jetsetlisette.com), Instagram or Twitter (@jetsetlisette).